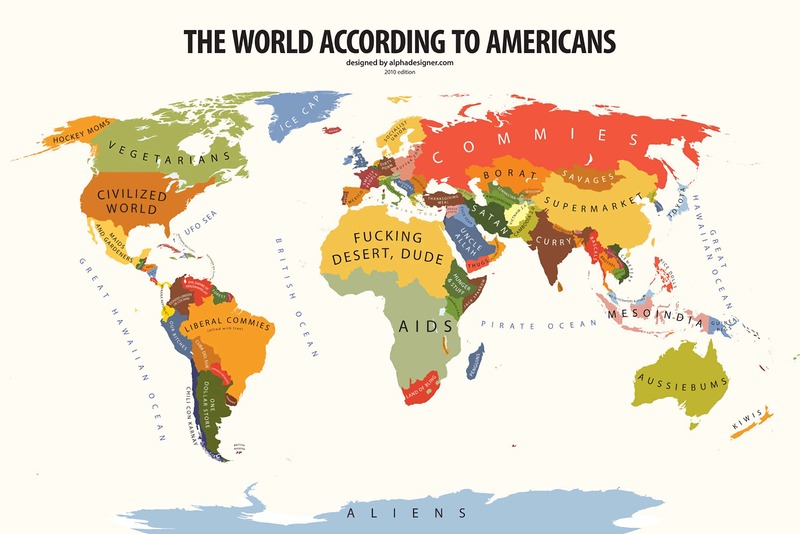 Alphadesigner is trying to put a finger on it with his Mapping Stereotypes series. 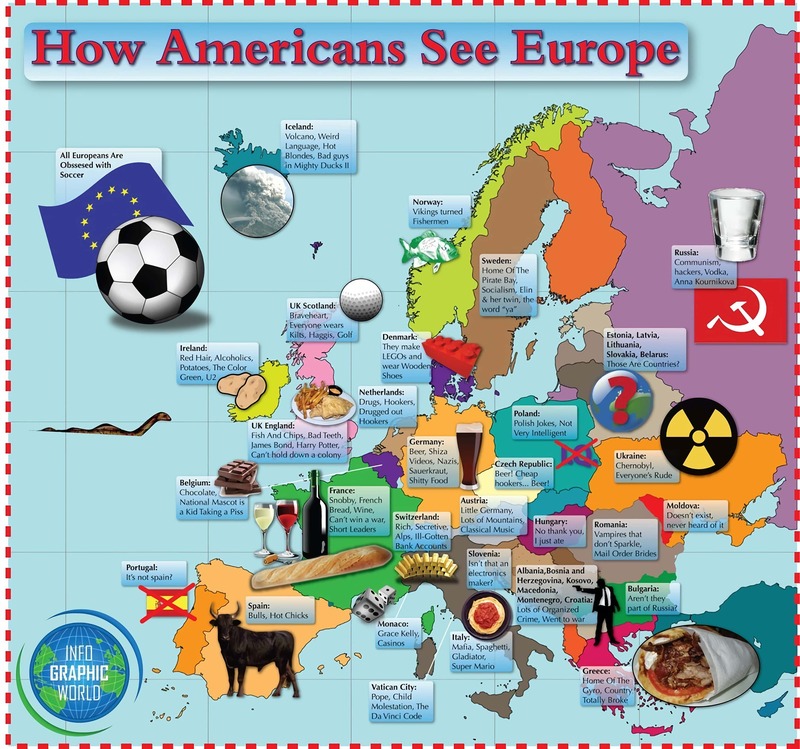 Others, including how Americans see Europe and the world according to America, are not nearly as well designed. 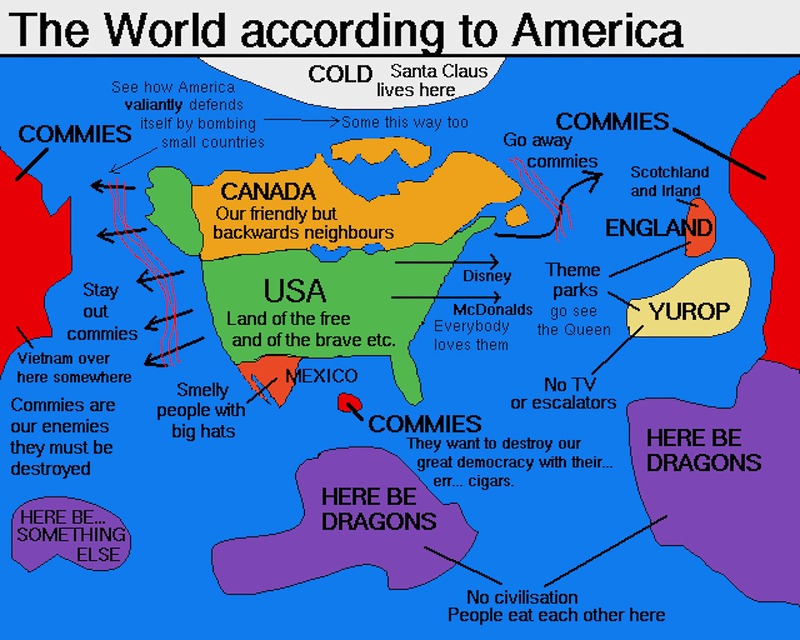 We’d be fools, however, to think we invented the idea of mapping our prejudices. 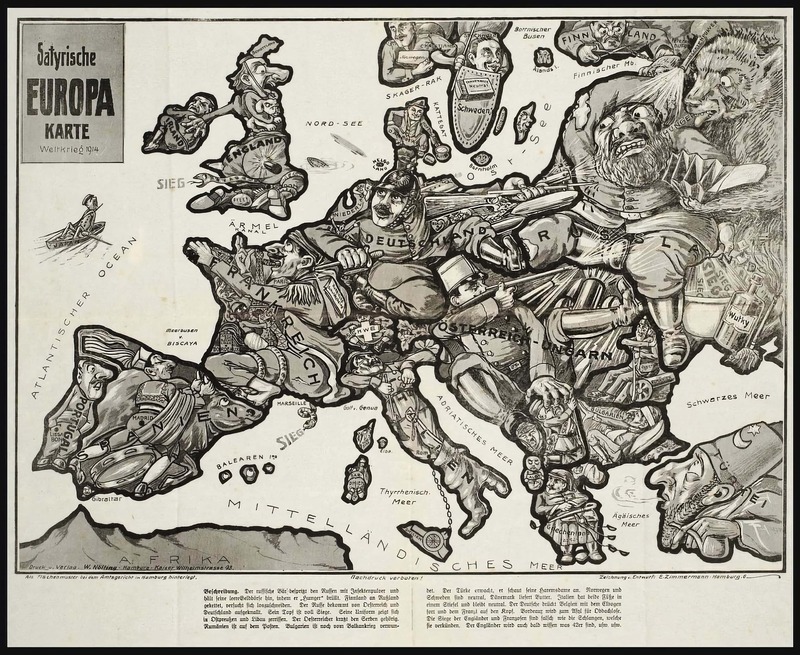 This Flickr set of maps from 1870 through 1915 is good evidence of that.